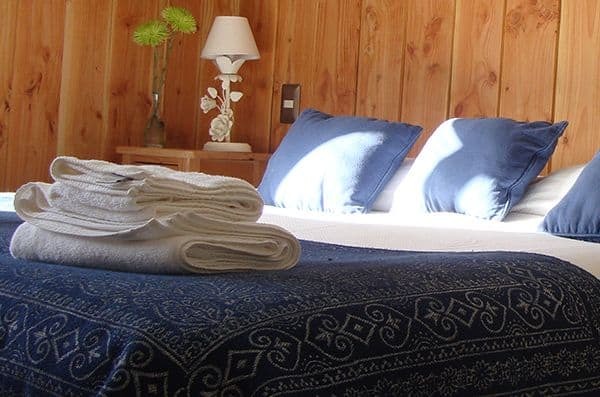 If you are planning your trip and looking for other “special” places to stay in Chile, you will find below a list of places that we can recommend from our own experience and also for being establishments recommended by Tripadvisor and Booking.com. 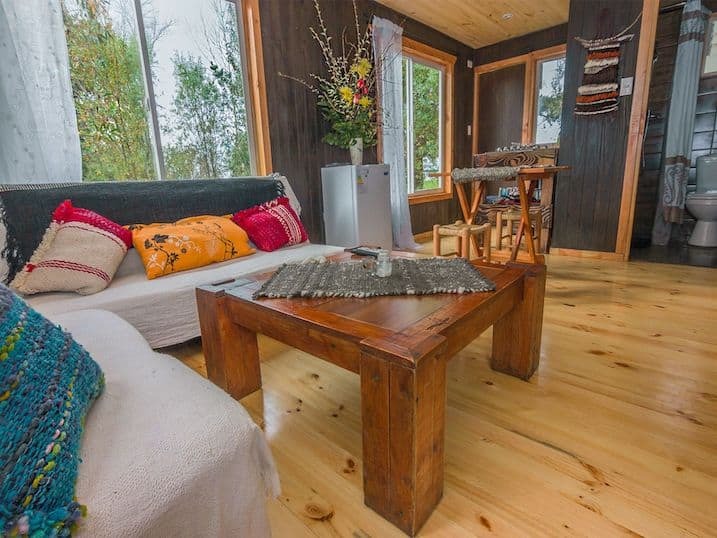 Ecological cabins in Puerto Varas located on the shore of Lake Llanquihue with access to the beach and view of the majestic Osorno Volcano. A special place, cared for by its owners Javiera and Lathan, and highlighted by TripAdvisor as the best in its category nationwide in 2017. 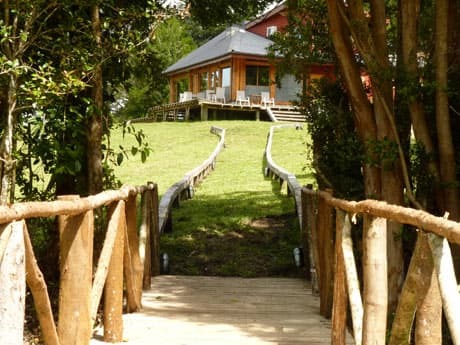 Cozy and eco-friendly Bed & Breakfast nestled in a typical wooden house in southern Chile, restored with delicacy and good taste, strategically located in the center of Puerto Varas. 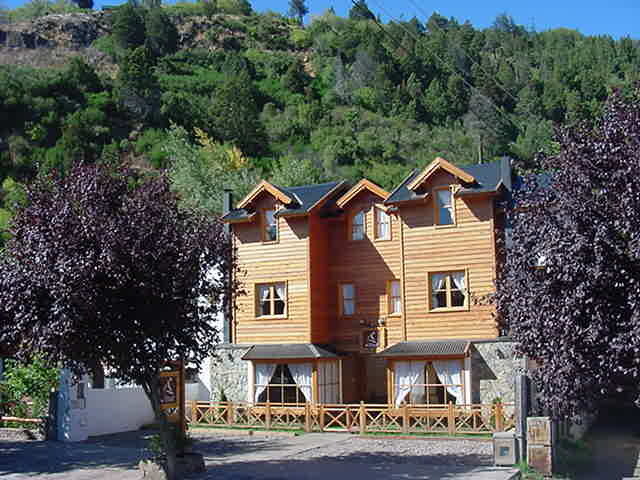 Served by Cristina and Cesar, its friendly owners, Sueños de Sur has been highlighted as one of the best B&B in Chile. The breakfast is simply exquisite! Small mountain hotel where its owners Mickael and Audrey offer personalized attention and quality in a privileged environment. 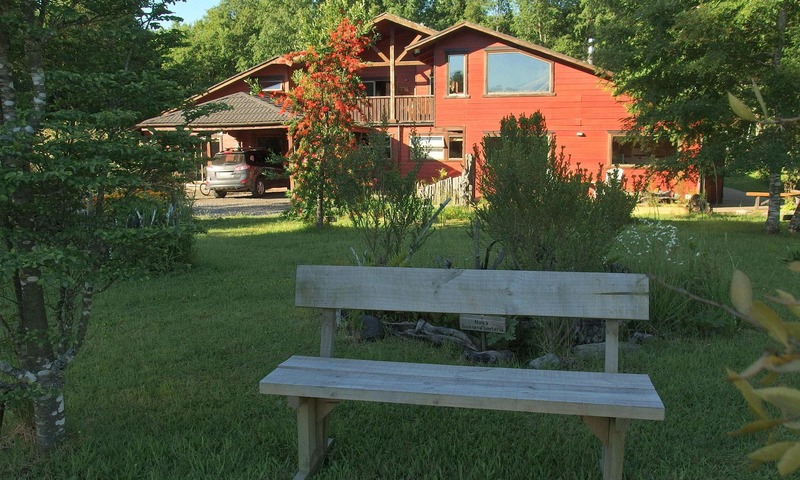 Located in a beautiful and tranquil place of Puyehue, between Osorno and the pass Cardenal Samoré. Delicious restaurant with exclusive recipes or French tradition. Ideal to enjoy nature. 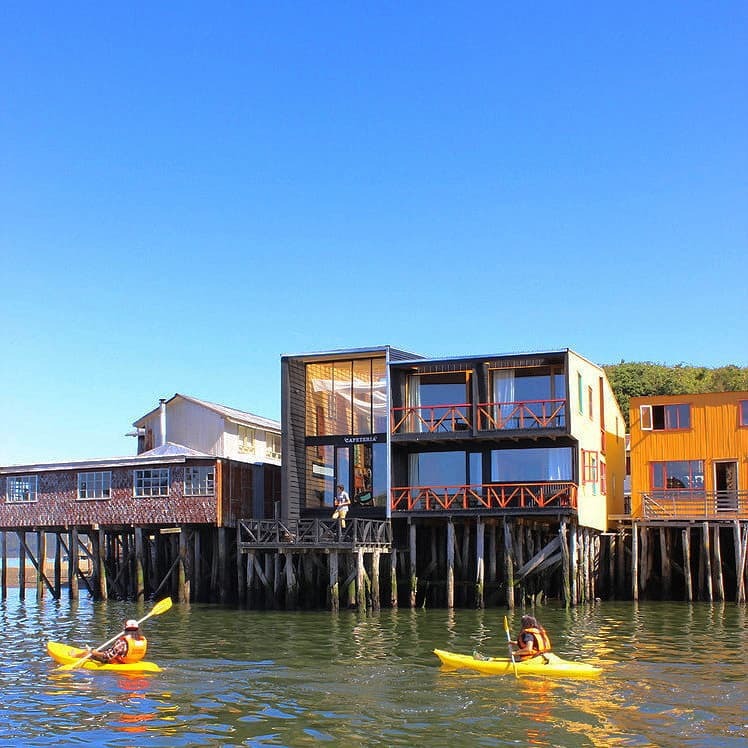 Warm cabins with spectacular view located 15 mn from the center of Valdivia in the mountain range of the coast between the wetlands and the sea. It is a Mapuche company with ecological and social commitment, which finances 80% of the maintenance and operation of the Medicine Center of the Earth. Ideal to explore the Valdivian coast and meet again with Mother Earth. Unique experience in this boutique hotel located in a traditional Castro district and operating on an authentic and refurbished palafito, construction that perches on the sea, and where the tide comes and goes during the day and night. Rich breakfasts served in the Patio Café with stunning views. Ideal to go out to tour the island. 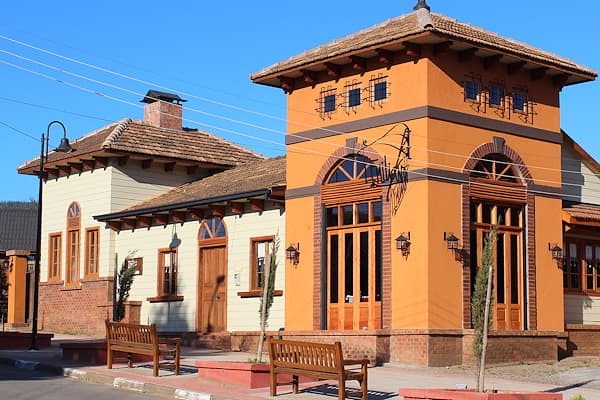 Comfortable cabins and exquisite Italian restaurant located in the heart of Capitán Pastene, village of the Araucanía Region that stands out for its Italian gastronomy. Excellent attention of its owners Patricio and family, in a warm atmosphere that seeks to rescue the Italian traditions. 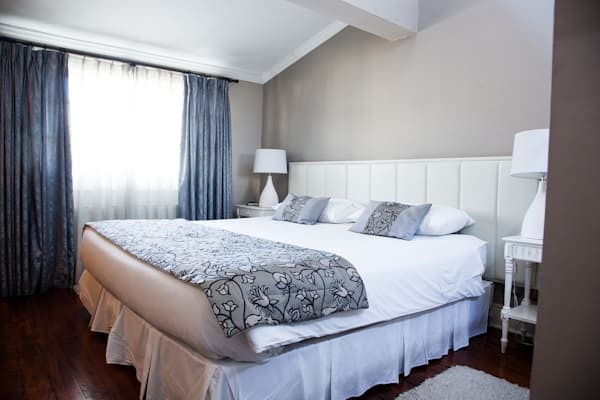 Boutique hotel located in the pleasant neighborhood of Providencia in a low-rise Art Deco building. Very elegant decoration and privileged location, close to the metro and to the rest of the sector and Santa Lucia Hill. It has free bikes, an ideal way to visit the city! 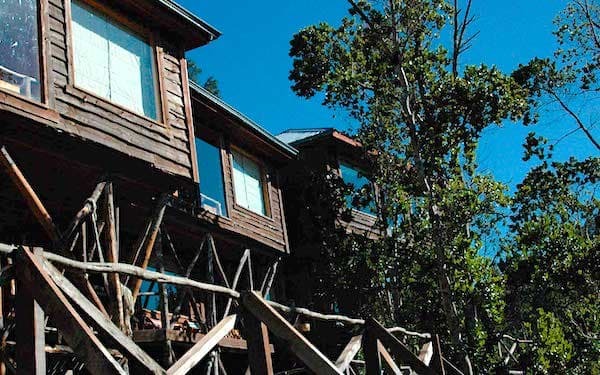 Cabins well equipped and designed in the San Martin style by its owners, Isidro and Veronica. They are 4 cabins that are ideally located in the center of this beautiful city in a quiet place and close to the main attractions. The attention is friendly and personalized.